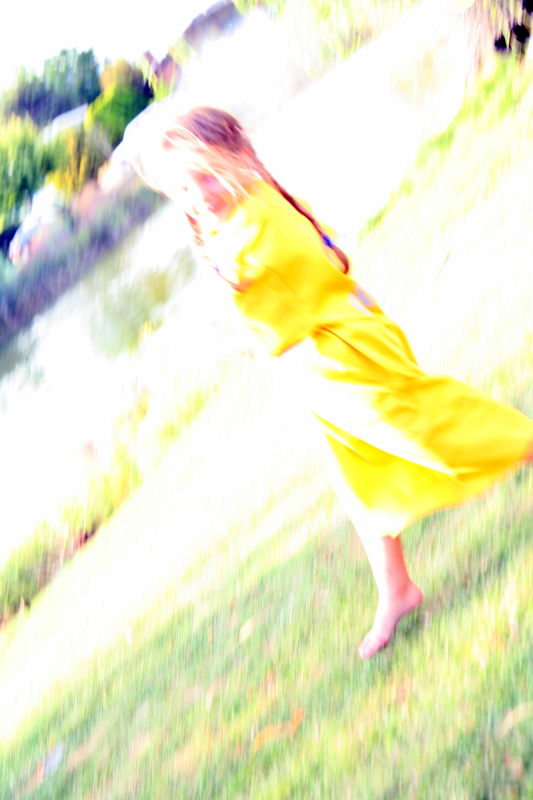 Weekly Photo Challenge – Free Spirit | Photograph: To draw in light. I’ve let the weekly challenge drop a bit over the past couple of weeks, but I am back. This week’s challenge is entitled “Free Spirit”. Want to know more, click here. My photo was a mistake – well it was when I took it earlier this week. Over exposed, blurred edges, full of movement. Yet, I loved it and didn’t want to drop it from my archive – for such a time as this! I think it fulfills the brief. I’d like to hear your comments. 31 Aug	This entry was published on August 31, 2012 at 9:24 am. It’s filed under Photos and tagged blurred, Canon, DailyPost, Free Spirit, Kate Hobbs, Movement, Over exposure, Photo Challenge, Photograph, Photography, PostADay, Weekly Photo Challenge. Bookmark the permalink. Follow any comments here with the RSS feed for this post. Newer: 31st August 2012 – Grasshoppers…. again. Thank you Arindam. I’m glad I kept the photo. She was just running around trying to outwit me and the camera. She was just laughing all the time. A real delight. I can see why you kept it – I think it’s great! Thank you Carol. I just loved the movement and even though it is over exposed, I just loved the whole balance of the photo. This little girl has been a subject for my photos on many occasions. A real delight to be with and to photograph. Such a sunny creature, I love this photo. Marion, she is a real cutie. She loves being photographed too. You are a lucky person then. My sons always hide – behind a wall, door, even their hands – whenever I want to take their picture. Silly young men! Thank you. It is so simple really, and this challenge allowed me to use some of my not so perfect photos, which in themselves are very abstract. Now you know how I struggle with abstract!!!! On some occasions it is very appealing. yes! this turned out great the beauty of abstract is there doesn’t have to be a perfect with it! I like the use of exposure here , you get the idea that it was a sunny day without having to get the sun in the photo! Some of my better photos have been ‘accidents’ and this was one such photo. It certainly was a sunny day, and she was wearing a bright yellow T-shirt which blended well into the photo. It worked surprisingly well. Thank you Carra. Welcome to my blog. I hope you will come back to visit again soon. Thank you Jo. I think it did encompass the theme well. Love the spontaneity of this image — thanks for the pingback! Thanks for visiting. May you have continued success at your blog. Love how it’s even on the diagonal – so bright & colorful – and ou get a sense of her determination in her stride! Thanks. Determined? Yes, she was. Lol. It is a perfect picture for the challenge…a magical, happy , playful image…that all says, ” a spirit that is totally free!” Beautiful post! Thank you. I knew there was a reason that I kept it! she looks like a true free spirit,. I love the glorious colour and movement. Thank you Maggie. It is such a warm and bright photo.